Mitchell S. Jackson grew up black in a neglected neighborhood in America’s whitest city, Portland, Oregon. In the ’90s, those streets and beyond had fallen under the shadow of crack cocaine and its familiar mayhem. 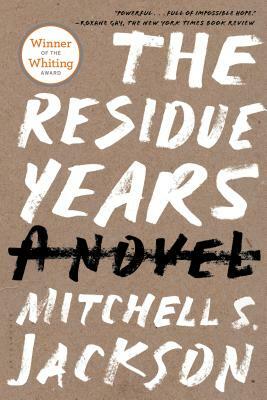 In his commanding debut autobiographical novel, Mitchell writes what it was to come of age in that time and place, with a breakout voice that’s nothing less than extraordinary. The Residue Years switches between the perspectives of a young man, Champ, and his mother, Grace. Grace is just out of a drug treatment program, trying to stay clean and get her kids back. Champ is trying to do right by his mom and younger brothers, and dreams of reclaiming the only home he and his family have ever shared. But selling crack is the only sure way he knows to achieve his dream. In this world of few options and little opportunity, where love is your strength and your weakness, this family fights for family and against what tears one apart.